The word spread quickly throughout the nursing community, via friends, colleagues, e-mails, and listservs. On Sunday, May 4, 2008, pediatric nursing lost a great leader, Donna Lee Wong. Donna was diagnosed with leukemia in 2003. We knew from the start that her prognosis was poor. A bout with pneumonia was finally too much for her compromised immune system to bear, but not before she attended her daughter Nina’s wedding, the day before Donna’s final hospitalization. Most of us knew Donna as the author of pediatric textbooks—Wong’s Nursing Care of Infants and Children, Essentials of Pediatric Nursing, Clinical Manual of Pediatric Nursing, and Pediatric Quick Reference — and co-developer of the Wong-Baker FACES® Pain Rating Scale. Many of us knew Donna for her honors, including the first recipient of the Audrey Hepburn/Sigma Theta Tau International Award for Contributions to the Health and Welfare of Children and the Society of Pediatric Nursing Barbara Larson Humanitarian Award. I, too, knew and respected Donna for all of these accomplishments; yet, what I treasured most about Donna was her joy of life and loyal friendship. While living in Tulsa, OK, I had the honor of belonging to Pediatric Nurse Consultants (PNC), a networking group of nurse specialists Donna founded in the early 1980s. Meeting monthly, we were active in publication, research, education, and legal activities aimed at improving the quality of medical care for children at both local and national levels. Donna encouraged us to develop professionally in ways we had never thought possible and always provided the support needed to ensure success. She encouraged us to write articles, but she first wrote some with us to teach us how. She encouraged us to write a book, introduced us to Mosby, and guided us through the publication of Comprehensive Child and Family Nursing Skills. She encouraged us to further our education, wrote letters of recommendation, cheered us on, and celebrated our successes. But she also encouraged us to have fun and escape from work. Donna loved riding roller coasters. She took time out from work to visit the loft above her office, which was filled with craft supplies. She created many beautiful treasures for family and friends. All of us were delighted when Donna’s father came to live with her family. Rudy was an excellent cook, and Donna’s culinary contributions to our meetings went up several notches. She shared her work at many conferences each year. This was a great benefit, not only for attendees, but for Donna as well. Donna loved cruising the exhibit halls because the vendors provided the bulk of her office and other supplies—pens, Post-Its, children’s cold and fever medication samples. Besides teaching me how to get the most from attending conferences, Donna opened many doors for me. As a member of Pediatric Nursing journal’s Editorial Board, she encouraged me to contact editor Ronnie Feeg and suggest the “Items of Interest” column, which ultimately led to the exciting role I have with the journal today. Donna provided opportunities for me to help with her textbook revisions, which prepared me to develop my own book, Meeting Children’s Psychosocial Care Across the Healthcare Continuum, in 2005. In the spring of 2005, I returned to Tulsa, OK, to speak at a local medical center. I knew Donna wasn’t doing well and planned to stop by to see her after my lecture. But as I began to speak that day, I looked out at the audience and saw Donna in the front row, with her quiet supportive smile. Visiting with her at her home later that afternoon, I realized the level of her fatigue and what an effort it must have been for her to be there for me. Yet, her spirits were bright; she believed it was a privilege to be given notice before the end of one’s life. She said it gave her a greater appreciation for each day. At her memorial service, I am sure Donna was smiling with the rest of us when the priest held up a giant copy of the Wong-Baker FACES® Pain Rating Scale. “Right now I’m sure most of us are about here,” he said, pointing to the tearful ‘Hurts worst’ face. “But in the coming days, we’ll be here and then here,” he said as he moved his hand down the scale to the smiling face. Rest in peace, my dear friend, knowing that you made this world a better place. Reprinted from Pediatric Nursing, 2008, Volume 34, Number 3, pp. 211, 224. Reprinted with permission of the publisher, Jannetti Publications, Inc., East Holly Avenue, Box 56, Pitman, NJ 08071-0056; (856) 256-2300; FAX (856) 589-7463; Web site: www.pediatricnursing.net; For a sample copy of the journal, please contact the publisher. We are grateful to Ashley Tall Shields for allowing us to use this paper she wrote during her student work at Duke University. Ashley received a BS in Biology from UNC Chapel Hill in 2007 and graduated from Duke University’s ABSN program in December, 2008. Currently she is working at Duke University Hospital on one of the pediatric inpatient units. Ashley plans to return to school in the Spring of 2010 to pursue her MSN in the Pediatric Primary Care Nurse Practitioner program at Duke. Nursing hero, roller coaster enthusiast, brilliant scholar, and arts and crafts specialist; these are all descriptions used to describe a remarkable woman who was a leader in the field of nursing. Remembered not only for her brilliance as a scholar but also for her compassion and joy in living, Dr. Donna Lee Wong’s contributions as a scholar, researcher, and mentor leave behind a legacy that serves to inspire future generations of nursing leaders. Born on March 30, 1948 in New Jersey to Madeline (DiPietropaolo) and Rudolph Mitchko, Donna Wong was raised during a time in which there was considerable resistance to the idea of using analgesic pain relief for children (Kasson, Sentivany, & Kato, 1996). As a child, she was subjected to many painful procedures following an incorrect diagnosis of leukemia (“Funeral service,” 2008). Due to the unfortunate belief among healthcare providers that pediatric patients tolerated pain well, analgesics were rarely used at that time (Kasson, Sentivany, & Kato, 1996). Donna Wong’s painful and traumatic experiences as a hospitalized child served as the catalyst for her career in nursing (“Funeral service,” 2008). Seeking to serve as an advocate for children, Donna Wong chose nursing as the avenue through which she could inspire change to prevent the suffering of pediatric patients. She began her nursing career as a student at Rutgers University in New Jersey. It was during her time as a nursing student that she met her future husband Ting Wong (“Donna Lee Wong,” 2008). They later married on December 17, 1971, and they had one daughter, Dr. Nina Wong Morrissette. Following her graduation from Rutgers with a bachelor’s degree in nursing, Donna accepted a job working as a floor nurse with pediatric patients (“OUCN,” 2008). While working as a new nurse in 1970, she was once again confronted with the inadequacies of pain management practices available for children. Accompanying a mother at the bedside vigil of her daughter, a cancer patient, Donna found herself with few tools to ease the physical pain of the little girl (“OUCN”). This experience was the beginning of a career that led to great improvements in pediatrics and pain management. Passionate about nursing and her ability to serve as a change agent, she went on to receive her Masters of Nursing from the University of California, Los Angeles and her Doctor of Philosophy in Child Development from Oklahoma State University. Donna Wong most recently worked as a nurse consultant at the Children’s Hospital at Saint Francis, Tulsa, Oklahoma; as an adjunct associate professor at both the Department of Pediatrics, The University of Oklahoma at Tulsa College of Medicine and Oral Roberts University, Anna Vaughn School of Nursing, Tulsa, Oklahoma; and as a clinical associate professor at the University of Oklahoma College of Nursing. In the early 1980s, Dr. Wong founded the Tulsa based organization Pediatric Nursing Consultants, Inc. (PNC), a networking group of nurse specialists (Rollins, 2008; “Donna Lee Wong,” 2008). Active in publications, research, education, and legal activities seeking to improve the quality of care for pediatric patients, the PNC under the guidance of Dr. Wong initiated the annual Greater Tulsa Area Pain Conference (“Donna Lee Wong”). 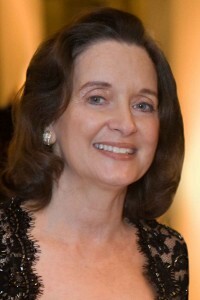 Through all of her contributions, she was dedicated to educating nurses on the importance of research and how to use findings related to analgesic use in order to effectively communicate with physicians to elicit change in medication prescribing practices (K. Nix, personal communication, July 28, 2008). During her nursing career, Donna Wong served as a consultant, instructor, researcher, and mentor. Well respected for her work as a writer, she is best known for her textbooks in pediatric nursing, including Nursing Care of Infants and Children, Clinical Manual of Pediatric Nursing, Pediatric Quick Reference, and Essentials of Pediatric Nursing. Her diligence and meticulous organization helped produce textbooks that have been published internationally and are considered by many to be standards in nursing education (Rollins, 2008; K. Nix, personal communication, July 28, 2008). Friends recall her home office that contained library shelving full of journal articles that she had summarized and filed according to their appropriate book chapters (Rollins, 2008). She is also remembered for her ability to dissect important points from publications, synthesize them, and translate the findings to practice in ways that both nursing students and practicing nurses could utilize (Rollins, 2008; K. Nix, personal communication, July 28, 2008). Many of Dr. Wong’s textbooks were co-authored with Lucille Whaley. Twenty-five years her senior, Lucille Whaley served not only as a co-author but also as a mentor to Dr. Wong (K. Nix, personal communication, July 28, 2008). The guidance she provided is mirrored by the encouragement that Dr. Wong later provided to other nurses. She not only encouraged nurses to write articles and textbooks, but she also took the time to write alongside them in order to teach them in the process (Rollins, 2008). In addition to her work in publishing, Donna Wong is also well known for her extensive research on pediatric pain management. In 1981, she worked in the burn center at Hillcrest Medical Center in Tulsa, Oklahoma as a nurse consultant. Working alongside Connie Morain Baker, a child life specialist, Dr. Wong frequently witnessed young children in pain who had difficulty communicating their feelings to the healthcare staff (Wong & Baker, 2002). The two women realized that many times the children’s complaints and cries were misinterpreted which led to ineffective pain control (Wong & Baker). They believed that with the proper tool, children would be better able to communicate their pain, which in turn would aid healthcare providers in providing more effective pain assessment and control (Wong & Baker). In what led to perhaps her most well known contribution, Donna Wong teamed with Connie Baker to develop the Wong-Baker FACES Pain Rating Scale. Consisting of six faces ranging from happy to severe pain, the FACES pain scale is a visual analog that is now utilized worldwide to assess pain in children. In addition to its usefulness as a nursing tool, the FACES pain scale has served to inspire additional research in the area of pain management (“Donna Lee Wong,” 2008). As a result of her contributions to the development of the FACES pain scale, Dr. Wong was awarded the Mosby Award for Excellence. Her other honors include being named as a fellow in the American Academy of Nursing (FAAN), being awarded with the first Sigma Theta Tau International Audrey Hepburn Award for Contributions to the Health and Welfare for Children, being named as a Rutgers University Outstanding Alumni, and being awarded with the Society of Pediatric Nursing Barbara Larson Humanitarian Award in recognition for her commitment to serving and advocating for the health of children (“Donna Lee Wong,” 2008; Rollins, 2008). In 2003, Dr. Wong was once again diagnosed with leukemia. Although it was known from the start that her prognosis was poor, she fought the cancer for over five years (Rollins, 2008). During her last few years, her spirits remained bright as she believed it was a privilege to be given notice before the end of her life (Rollins, 2008). She stated that she had no fears of death and no regrets, and instead she lived with a greater appreciation for each remaining day (“Funeral service,” 2008; Rollins, 2008). Following the development of pneumonia, she passed away on May 4, 2008 in Oklahoma. At her memorial service, the priest held up a giant copy of a FACES scale. “’Right now I’m sure most of us are about here,’ he said, pointing to the tearful ‘hurts worst’ face. ‘But in the coming days, we’ll be here and then here,’ he said as he moved his hand down the scale to the smiling face’” (Rollins, 2008). The well recognized FACES scale serves as a reminder of Dr. Wong’s lifelong commitment to improving the healthcare and pain management of children. At the end of her life, Dr. Donna Lee Wong was remembered not only for her compassionate leadership in nursing but also for her love of life. Kasson, B. R., Sentivany, S.K., & Kato, P.M. (1996). The problem of pediatric pain. In P.M.
Kato & T. Mann (Eds. ), Handbook of diversity issues in health psychology: The plenum series in culture and health (pp. 97-116). New York: Springer. Rollins, J. (2008). Donna Lee Wong. Pediatric Nursing, 34(3). Retrieved July 22, 2008 from CINAHL database.